When Mary J. Blige was born on January 11, 1971, in The Bronx, New York, few observers would have imagined her becoming one of the most successful rhythm and blues (R&B) artists within a musical world increasingly dominated by hip-hop. Blige’s father abandoned the family when she was four. She and her mother and sister moved to the Schlobam Housing Project in The Bronx and became one of thousands of impoverished single-parent families in New York’s public housing system. Blige was sexually assaulted as a child and later dropped out of high school. In 1988, Blige recorded a demo in a shopping mall self-recording booth. The demo made its way to Uptown Records in Harlem, and she signed a recording contract a year later. For her first album, Blige was guided by then little-known producer Sean Combs. Her debut album What’s the 411? changed the sound of both hip-hop and soul for artists in both of the genres. The album integrated soul and rap music. Blige’s raw singing and rugged image reflected her project-raised youth. Her songs were sampled by rap artists, including The Notorious B.I.G., which added to her streetwise credibility. Mary J. Blige recorded another six albums, all of which achieved spectacular success, reaching platinum (over one million albums sold) status. Along with commercial success, Blige has also earned a number of awards, including two NAACP Image Awards and six Grammys. By 2013 she had sold 75 million records worldwide. On April 30, 2017, she released Strength of a Woman, her thirteenth studio album. 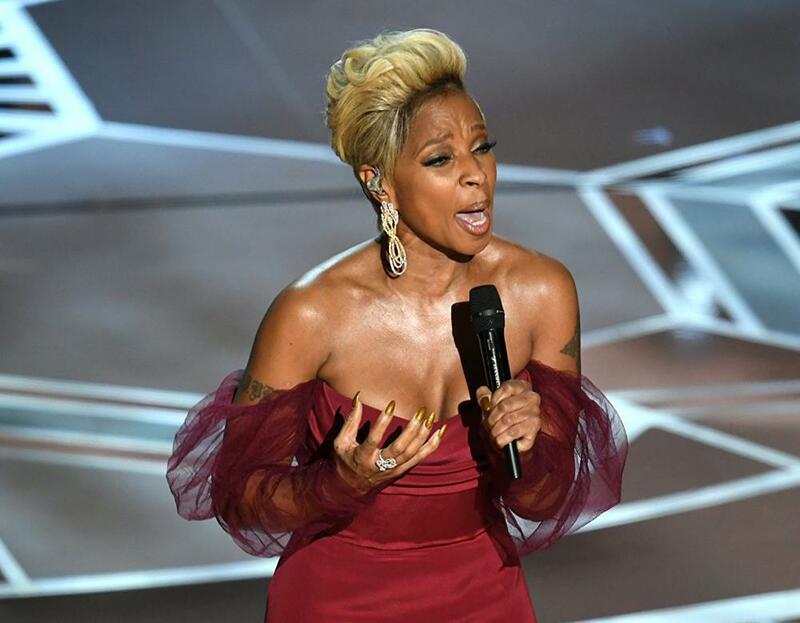 Blige’s acting career began with the film Prison Song, released in 2001, and by 2009 she began to appear in major motion pictures, starting with Tyler Perry’s I Can Do Bad All By Myself. Her most important film to date is Mudbound (2017), where she portrays Florence Jackson, a sharecropper’s wife living in Mississippi. Blige won a Golden Globe Award for Best Supporting Actress for her role as Jackson. When she received Academy Award nominations for both Best Supporting Actress and Best Original Song for Mudbound, she became the first person to be nominated for acting and writing an original song in a single year. She has also been on numerous television series, beginning in 1995 when she played herself in the multiple episodes of the series New York Undercover. Her most recent appearance was in the 2019 TV series The Umbrella Academy as Cha-Cha.